From a hearty frittata with sweet peppers and sausage to tender gnocchi served with a sublime sauce of four cheeses and grilled balsamic-glazed veal chops on a bed of polenta, the sumptuous yet easy-to-make recipes in this book represent the very best of vibrant Italian cuisine. 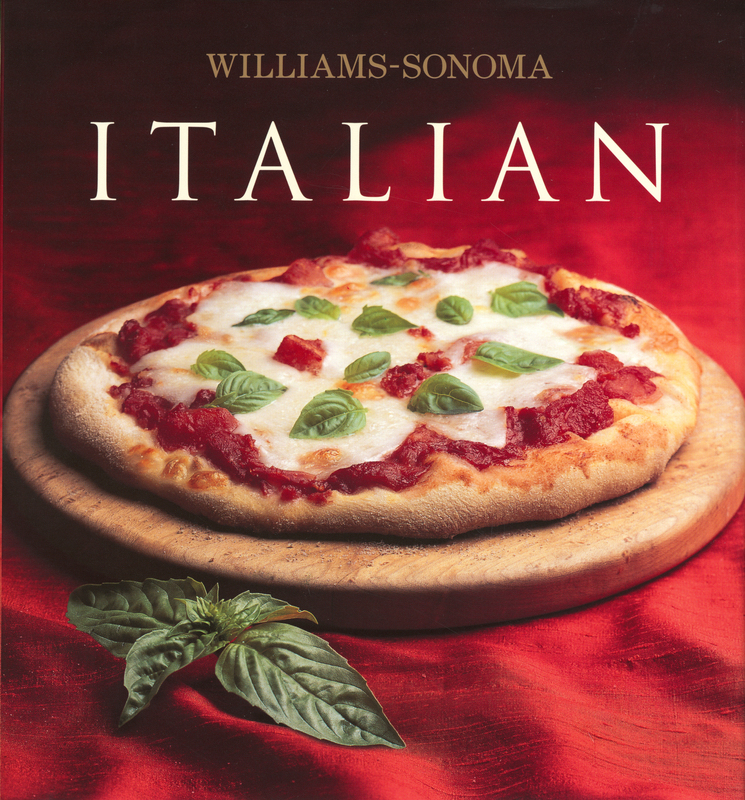 Williams-Sonoma Collection Italian offers more than 40 recipes, including beloved favorites as well as exciting new ideas. Pastas such as ravioli filled with butternut squash or papparadelle sauced with long-simmered meat ragù make satisfying meals in themselves. When hosting an elegant dinner party, serve individual spinach timbales followed by roast sea bass with fennel and lemon. For a sweet finish, choose from crunchy almond biscotti, irresistible tiramisù, or creamy panna cotta. With an entire chapter devoted to each traditional Italian course, this volume offers plenty of inspiring recipes perfect for any occasion. Full-color photographs of each dish help you decide which one to prepare, and each recipe is accompanied by a photographic side note that highlights a key ingredient or technique. With an informative basics section on Italian cooking, including an extensive glossary, you will quickly learn all you need to know to make delicious Italian meals to share with family and friends.